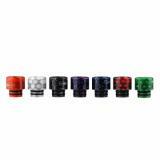 The Demon Killer Drip Tips are designed for TFV8 and most 510 drip tip atomizers! It is made of Resin material which is attractive. 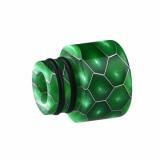 Just get this resin drip tip to enjoy happy vaping. 1pc each pack. Here comes the beautiful resin 810 (type B) and 510 drip tips (type B) - Demon Killer Cobra Resin Drip Tips which are designed for SMOK TFV8 series tanks, most 810 drip tip atomizers and most 510 drip tip atomizers. 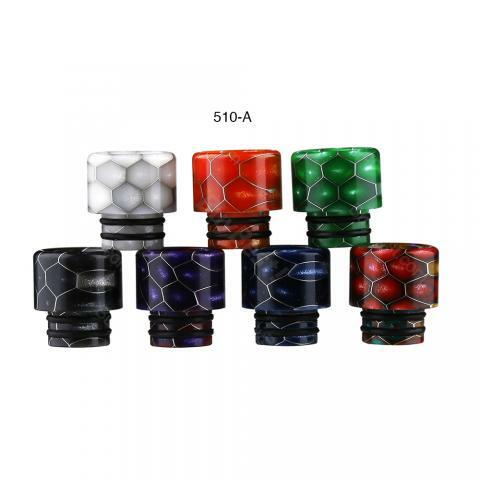 Resin material with unique Cobra style decoration make this Demon Killer drip tip into a durable and attractive part. Just get it as a spare part. 1pc each pack. The color is in random shipment. • They are compatible with SMOK TFV8 series tanks, most 810 drip tip atomizers and most 510 drip tip atomizers. • Please note that the color is in random shipment. 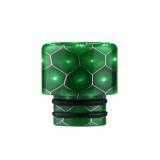 Demon Killer Cobra Resin Drip Tip is designed for SMOK TFV8 series tanks, most 810 drip tip atomizers and most 510 drip tip atomizers. 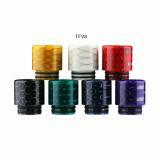 Olichny driptyp for TFV8, sits better than the native. Includes 2 spare o-rings, comes in a stylish metal box, which is now used for fishing hooks. There is a scratch code, you can check for originality. Not heated.